The goal of finding a cure for cancer just took an enormous step forward to becoming a reality recently, with the announcement that The Chan Zuckerberg Initiative – the charitable foundation formed by Facebook CEO Mark Zuckerberg and his wife Dr. Priscilla Chan – will pledge $3 billion to basic science research over the next decade with the goal of curing disease. Top of that list is curing cancer. The $3 billion effort will be led by Dr. Cori Bargmann, the researcher and neuroscientist who led President Obama’s “BRAIN Initiative.” Zuckerberg, who joined Chan on stage, said the donation would be dedicated to three main goals: bringing scientists and engineers together, building tools and technology and fueling a movement to encourage more private and public funding of science research around the world. Zuckerberg said tools built by the initiative could enable advancements, for example, in bloodstream monitoring to detect disease and artificial intelligence software to understand the brain. “If we can develop new tools, we can empower scientists all around the world to make much faster progress and breakthroughs,” Zuckerberg said, emphasizing that the initiative will look for ways to apply engineering to social change. 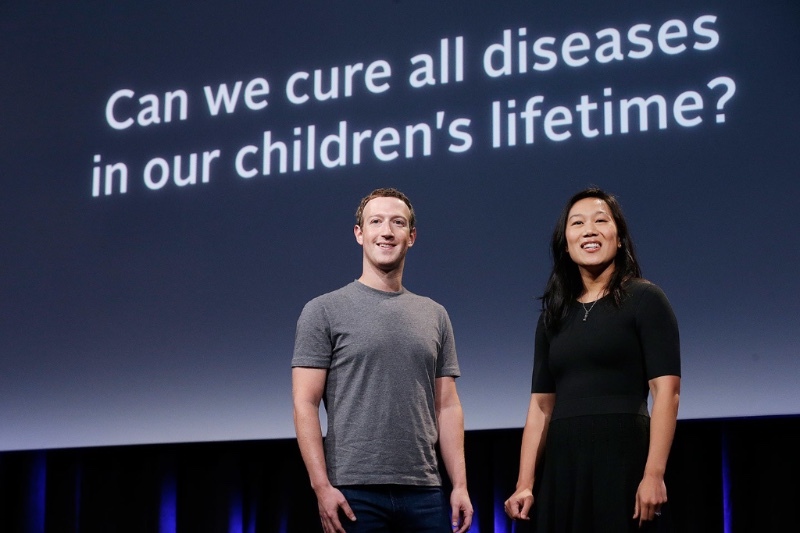 The team at SPDT 4 LIFE will watch very closely the work of the Chan Zuckerberg Initiative and be sure to swiftly bring to the hospital any new discoveries that may prove to be of benefit to our patients.